Both my kids absolutely love puzzles and now I know that Arlo is as interested in putting them together rather than wrecking them, the kids can actually spent quite a lot of time together with their puzzle collection (though I still have to make sure the bits go back in the right boxes!) 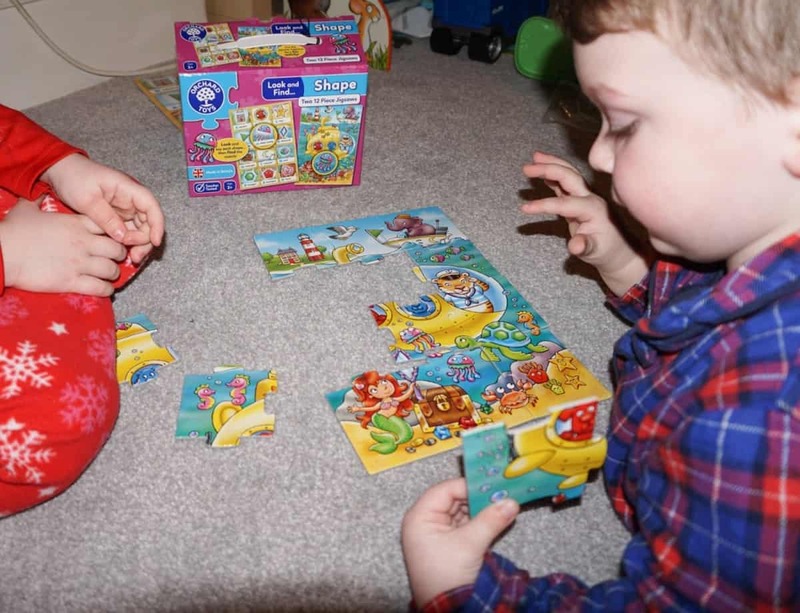 We’ve been sent two puzzles recently which are keeping the kids entertained and more importantly meaning that they’re spending less time on their tablets which is always a win for me! 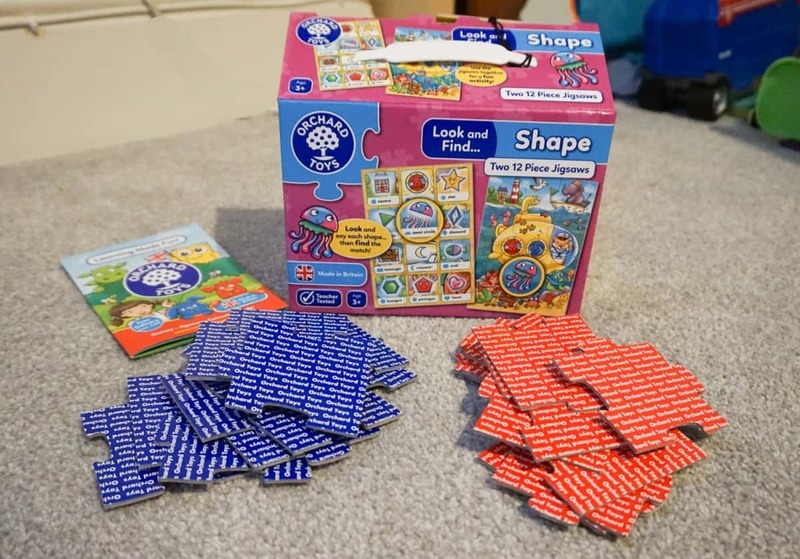 The first puzzle is the Look and Find Shapes from Orchard Games who are already a firm favourite in our house. 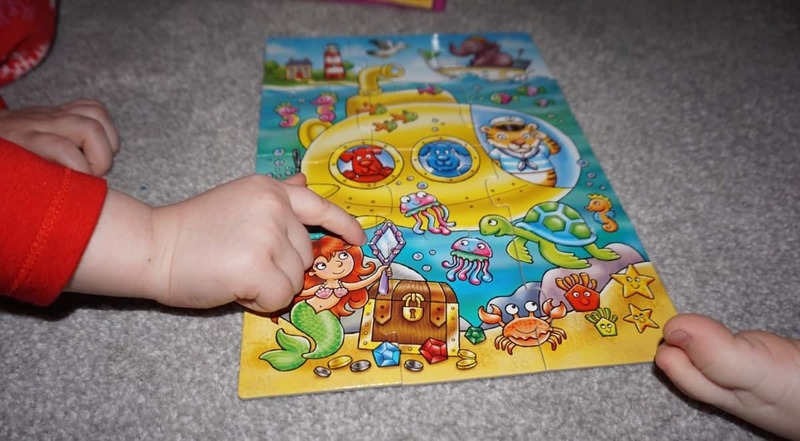 It is two puzzles in one, both with an ‘under the sea’ theme. Once put together a great underwater picture appears! It’s perfect for playing observation games; asking the kids to describe things to me and taking it in turns to find certain items within the picture. 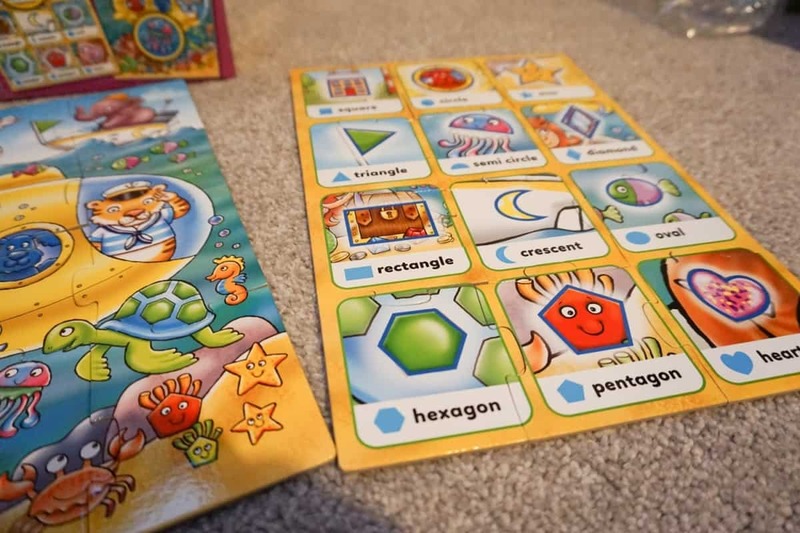 The second puzzle included in the box is all about shapes and this one is perfect for shape recognition and matching, but also for hand-eye coordination recognition. Athena (who is in reception class) has also been sounding out the words which spell the shapes that they’re looking for. 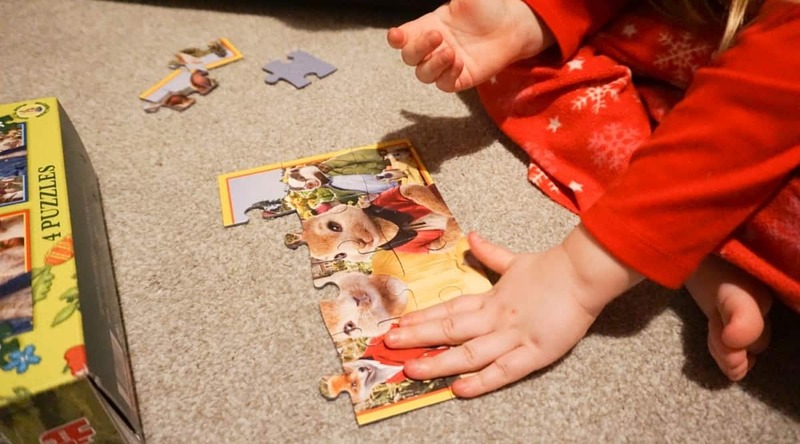 The next puzzle is a Peter Rabbit 4-in-one set of puzzles, each one with a different amount of puzzle pieces. Firstly if like me you’re thinking ‘how on earth will I know which pieces go with which puzzle’ then it’s actually fairly obvious because on the back there is a small embossed shape, plus the pieces are slightly different sizes. I try and keep each puzzle in a little drawstring bag inside the main box but my kids often have other ideas, but it does take them a lot longer to put together when the pieces are all mixed together – an extra challenge! 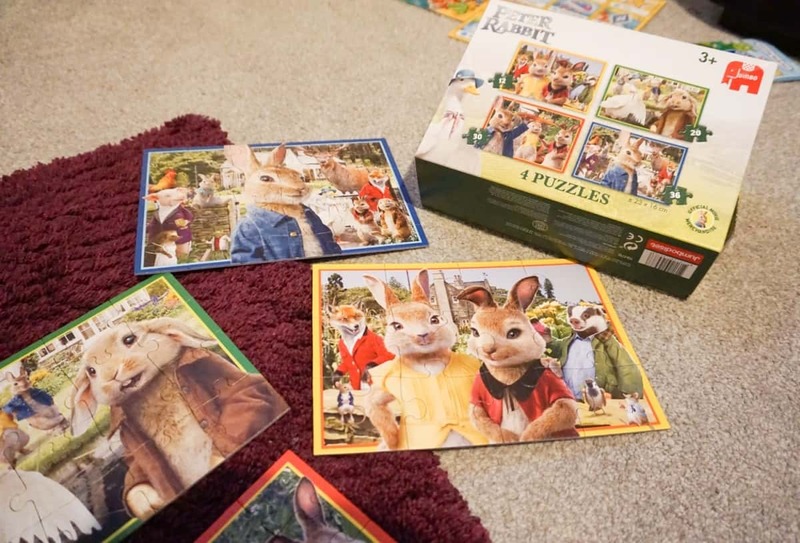 All the pictures on the puzzles are stills from the new animated Peter Rabbit film which we’ve not seen yet but hoping to do in the Easter holidays! The kids love the TV program and the books too, so know the characters and love finding the right pieces to complete each puzzle. We were sent these puzzles to review. words opinions and images are my own. Post contains affiliate links. Oh we love Orchard Toys here – their stuff is just so lovely! This puzzle looks great for so many reasons, as does the Peter Rabbit one. Have entered ?? My girls love puzzles and Holly is really good at them and much more advanced for her age. 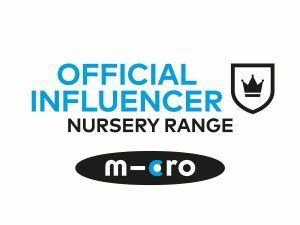 We are big fans of Orchard Toys too and I love that its an observation game too. We all LOVE peter rabbit in our house, this would be a big hit! These look lovely and I bet they’ve come in very handy with all the snow we’ve had. 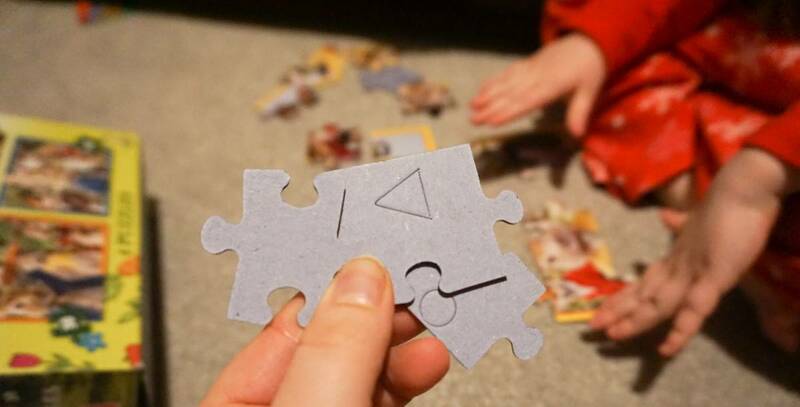 Puzzles are such a nice activity for little ones to do. At the moment my youngest is pretty hopeless though! I used to love sitting down with the kids doing jigsaws but now at 8 and 10 they’re more interested in their iPads. I quite fancy a jigsaw for myself!